We had company from Red Deer this weekend, and I couldn’t resist the opportunity to cook for a crowd (by which I mean any more than two people). Crepes are my favourite lazy-morning food, as they have the ideal fanciness to ease-of-making ratio. They made an appearance accompanied by cinnamon rolls, and fresh basil hashbrowns. Washed down with some strong coffee, it was the perfect (late) start to a sunny, if cold, Sunday. 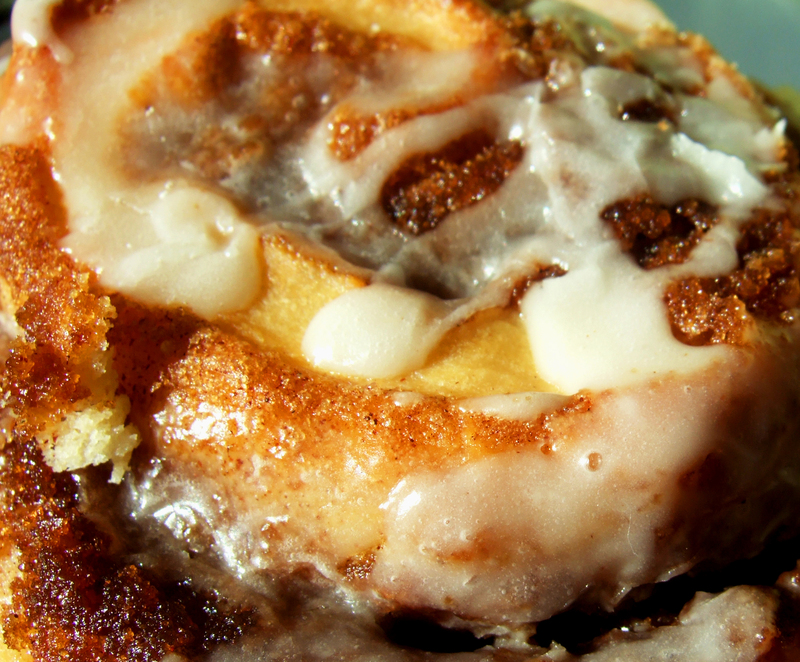 The cinnamon roll recipe I used is Michael Smith’s and you can find it here. The only changes I made were to use unsweetened soy milk, instead of cow’s milk/cream, and only cooked them for 20 mins, and they turned out amazingly! Soft and flaky, I couldn’t have been more pleased with my first attempt. Beat eggs in a large mixing bowl. Whisk flour in until smooth. Add extra milk until it has the consistency of very runny pancake batter. Ladle into a hot oiled pan, on medium heat. Roll pan around the spread batter across the bottom. Cook until bottom is just barely starting to brown, a couple minutes. Top with… whatever you like! We used: bananas, thawed frozen berries, whipped cream and/or syrup. I'm a self-taught foodie with a small kitchen and big aspirations!